Even though the date (ca. 1970's), occasion, and contributors are not indicated, the message of this booklet found in our files reveals the heart of our Church. 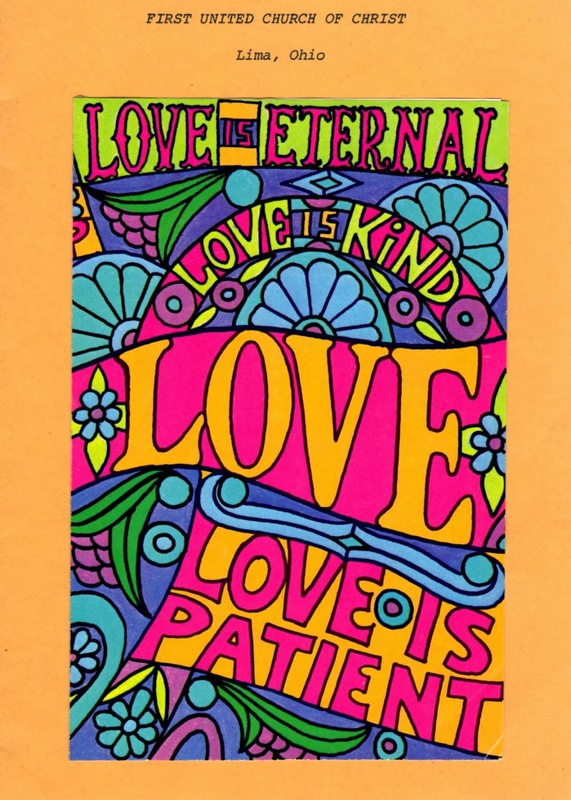 LOVE IS ETERNAL. That is always the password of God's Churches here on this earth. Traditionally recognized for their strong discipline and dedicated work ethic, the Germans have been highly esteemed for their manufacturing skills, ingenuity, and quality-made products. For decades, Rhoda Brothers was a thriving business in our community. Many members of our church are related to the Rhoda family heritage. LIMA — Carl Rhoda had been a blacksmith for 62 years when he talked to The Lima News for a July 1974 story on dying American crafts. Rhoda was the last blacksmith in Lima. 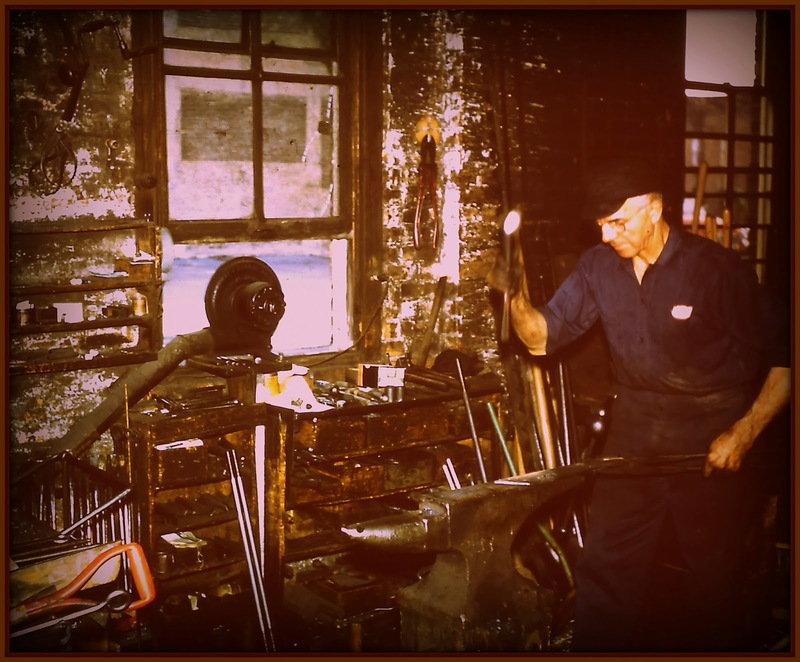 Starting in 1913, he had done nearly everything involving fire and metal at Rhoda Brothers General Repairing and Welding in the 100 block of South Union Street. “I’ve repaired lawn mowers, clamps for drawing lumber and bicycle frames,” Rhoda said in 1974. “I know a man who works side shows in county fairs and carnivals. Every year he brings me the hammers from the high striker to repair.” Carl Rhoda, president of Rhoda Brothers, was still working several hours a day at the shop when he died in 1979. He was 83 years old. Carl’s older brother Harry started working at Rhoda brothers as a child. On his 100th birthday in September 1984, Harry Rhoda recalled shoeing while his father Charles Rhoda shoed. Harry Rhoda told The News he chased flies away from the horses for 10 cents a week. Harry Rhoda died at 101 in 1985. The original Rhoda Brothers, William and Charles, were the sons of Christian and Anna Maria Shook Rothe who came to America from Germany in the mid-1850s. The family name was later changed to Rhoda. They settled in Allen County where Christian pursued the trade of blacksmith. William Rhoda was born in Westminster in 1858 and Charles Rhoda the following year. 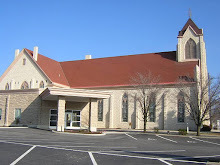 The brothers were educated in the public schools in Allen County’s German Township. In the mid-1870s, at 17 years of age, William Rhoda came to Lima to apprentice as a blacksmith, according to a 1921 history of Allen County. Following his apprenticeship, William Rhoda was employed as a journeyman by J.C. Blocher. By 1883, he was a partner in Blocher and Rhoda blacksmith shop in the 100 block of South Union Street. At 19, Charles Rhoda began dividing his time between working on the family farm and learning a trade, training as a blacksmith at Blocher and Rhoda beginning in 1884, according to the history. By 1890, William Rhoda had bought out Blocher and brought in his brother Charles as a partner. An ad for Blocher and Rhoda in the 1880s gives some insight into the shop’s early years. “Will furnish you 4 buggy wheels and tire for $10 or with axles for $14, and paint your buggy for $7.50.” Horses were shoed for as little as $1 per horse including the cost of the shoes, and presumably the shoeing. A Lima Times-Democrat article from Aug. 5, 1901, showed one of the unique dangers a blacksmith shop in Lima, at that time in the midst of an oil boom, faced. Rhoda Brothers’ workers were building a fire to heat a heavy tire (the metal band around the outside of a wagon wheel). “The wood that was used included several pieces of an old wagon bed that had recently been removed from a nitroglycerin wagon (nitroglycerin was used to get oil wells flowing.) Some of the pieces had been saturated by the dangerous fluid and when the fire reached them the explosion resulted,” the Times-Democrat reported. No one was injured but several windows were blown out. In November 1915, according to the Lima Daily News, the Rhoda Brothers moved their blacksmith and carriage repair business to a new building at 117-119 S. Union St. William Rhoda died in February 1925, and Charles Rhoda in October 1923. After the deaths of the founders, Charles Rhoda’s son Carl and William Rhoda’s son Otto took over the business. September 1921 saw the company combine with Frey-Jones Pattern Works. “The company specializes in commercial truck bodies and cabs, winter tops for pleasure cars and wood and metal products of every description,” the Daily News reported. The Allen County Republican Gazette reported May 10, 1923, that the firm was erecting a plant at Jackson and McKibben streets. In July, 1924, the company unveiled “the latest design in economical motor bus transportation” the “Rhoda-Ford” a “12-passenger sedan coach” built on a Ford chassis, the Republican Gazette reported. Less than two years later, on April 25, 1926, the Lima News reported the Rhoda Body Manufacturing Co. was in bankruptcy. Rhoda Brothers survived and by the 1940s farm repair and welding were added to its services. In the 1970s, the business moved to 131 S. Union St.
Carl Rhoda’s son-in-law, Burdette Vermillion, told the News in July 1974, that the job had changed a great deal over the years. Rhoda Brothers, at the time one of Lima’s oldest businesses, closed in 2001.